Manchester City are known to be big spenders. They have lived up to that reputation with the signings of Leroy Sane, Gabriel Jesus and a few others for big money. Manchester United are set to keep up, if not overtake City with the arrival of Pogba for a world record £100m transfer fee. But it is not always the £50m players that bring value to a club. Free transfers play a huge role in shaping a football team. The arrival of Zlatan Ibrahimovic, Sofiane Feghouli and Joel Matip to the Premier League on free transfers is a testament to that fact. That said, here is a list of the 11 best free transfers of the English Premier League, lining up in a 3-4-3 formation. Brad Friedel joined Blackburn in the summer of 2000 when Graeme Souness was in charge. Regarded as one of the finest keepers in the Premier League, the American went on to have the best spell of his career at Ewood Park. Friedel made over 300 appearances for the Rovers in 8 years and was a part of the team that won promotion back into the Premier League in his first season. He was named Blackburn’s Player of the Year in the 2002/03 season after a string of fine performances. 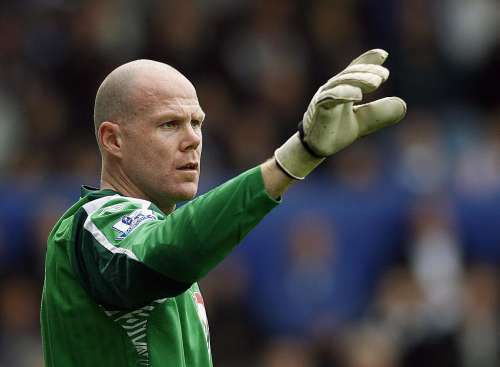 Friedel became the second goalkeeper in EPL history to score from open play after he netted against Charlton. Friedel also holds the record for most consecutive appearances in the league with 310. In 2008, the American called time on his Blackburn career and moved to Aston Villa.